Music’s biggest night is over and done. But, for those of you that missed out on this grand event, you’ve come to the right place. Press Pass LA has the only recap you need to let you in on last nights major highlights. The talk of the night was the battle between Adele and Beyoncé because both artists received over six nominations within top competing categories. Although the war wasn’t a complete bloodbath (Adele wore a lemonade broach in support of Queen Bey and thanked her in her speeches), the winnings weren’t dispersed very evenly. Adele beat out Beyoncé in the most important categories by winning five Grammys, including: Song of the Year, Record of the Year, and Album of the Year. As for some surprise of the night, it is essential for us to discuss this matter. The Chainsmokers—a current EDM heavyweight—didn’t make the Grammys splash that many had initially believed they would even within the Best New Artist category. Instead, the duo received an un-televised win for Best Dance Recording. As Twenty One Pilots went to the stage to claim their award for Best Pop Duo/Group Performance, they intentionally took off their pants before hitting the stage to give their speech. Despite appearing very pregnant on the Grammys stage, Beyoncé gave a heavenly and artistically beautiful performance. One of the biggest flaws of this years’ show were the number of technical issues throughout. During Metallica and Lady Gaga’s collaborative performance alone, James Hatfield realized that he was given a non-working microphone. Therefore, Gaga naturally shared her mic with him. Also, whether it was apart of the act or not, it was pretty hilarious to see James Corden—the show’s host—lift not bring him to the top of the steps, resulting in him climbing his was up and tumbling down. Clearly, the Grammys need to step it up a bit on the technical side considering last year Adele was also plagued with a non-working mic. The evening’s performances tended to be a bit overwhelming. With a slew of tributes and other performances we didn’t ask for (but received at the cost of our personal time), it encouraged the show to drag on longer than needed. However, there proved to be some highlights in this department that stood our amongst the pack. Country breakout Maren Morris—who won for Best Country Solo Performance— powerful duet of her song, “Once”, with Alicia Keys had the crowd on their feet by the performances end. Chance the Rapper—who claimed two Grammys that night—gave a groundbreaking performance, showing everyone that doubted the unsigned artists’ capability to succeed within the industry. Despite Adele swearing and starting her George Michael tribute over mid-performance, she still showed us how powerful she is as a singer. Naturally, things got a little political because that’s the mood of Hollywood post-election as of late. At the end of Katy Perry’s comeback performance with her latest single “Chained to the Rhythm”, she had the constitution placed loudly and proudly behind her—her song fitting seamlessly with her political statement. Other artists who weren’t afraid to push the boundaries and get a little political during their performances include A Tribe Call Quest and Beyoncé. Some artists’ and other celebrities presenters shared their politics not in song, but in speech including: Jennifer Lopez, Laverne Cox, Paris Jackson, and more. 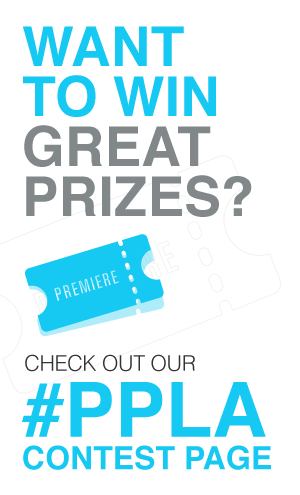 PPLA fans that watched the Grammys, we leave you with this question: what did you think of this years’ show? Sound off your opinions in the comments below.